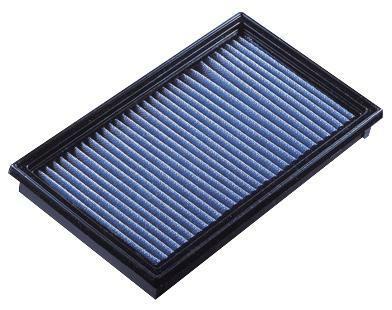 Utilizing the same filter as the LM Core-type filters, the BLITZ LM Stock Replacement Filters are designed to reduce intake restriction and provide maximum filtration without sacrificing the stock air-box. Unlike conventional filters made of paper or foam elements requiring oil to maintain filtering capacity, the BLITZ LM Stock Replacement filter is made of cotton, without any assistance of oil – the oils used to clean such filters gradually disperses into the inlet tracts of an engine, and coats the walls and in particular the air flow sensor, slowly reducing the performance of the vehicle. The BLITZ LM Stock Replacement is a simple remove and replace application.